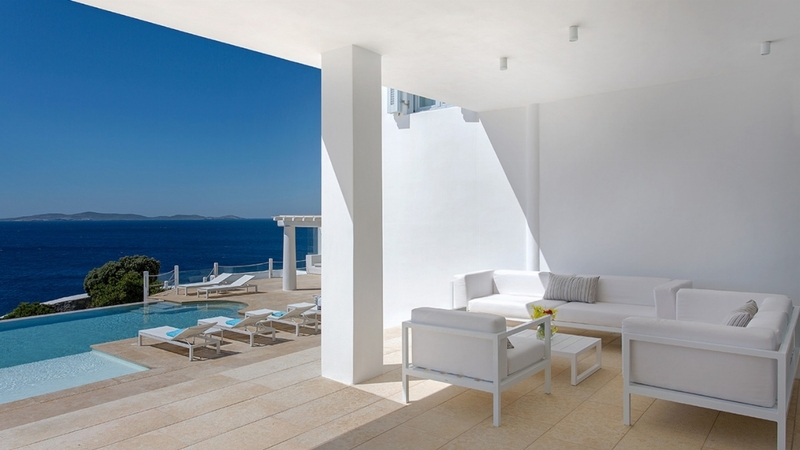 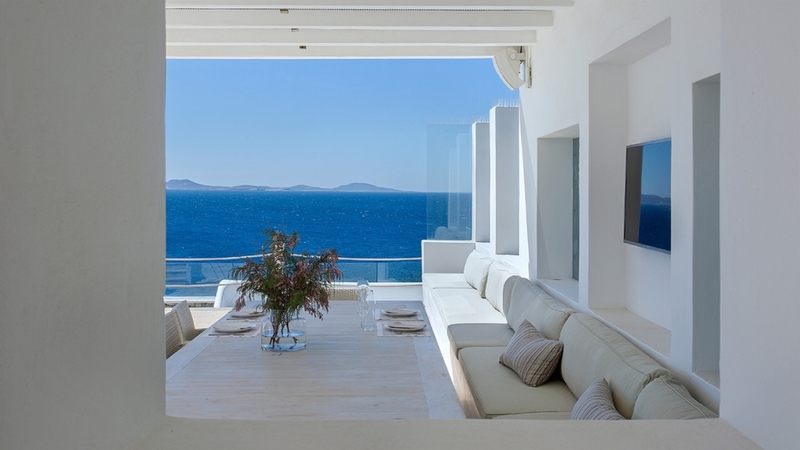 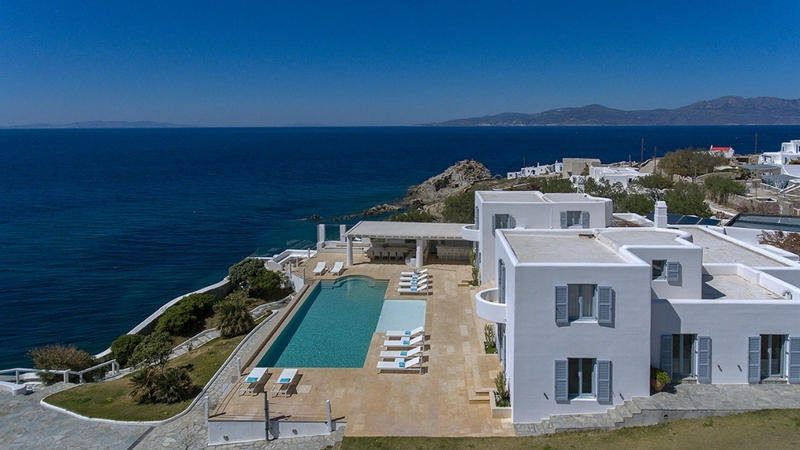 Villa Gadi is the epitome of coastal cool and has its own private cove and helipad. 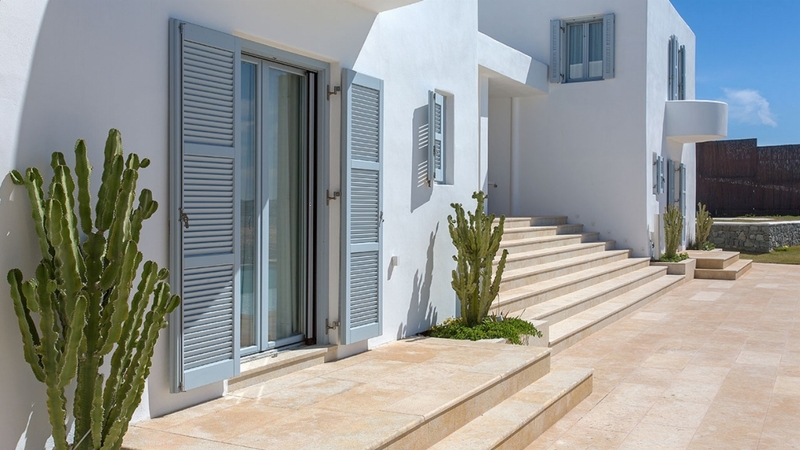 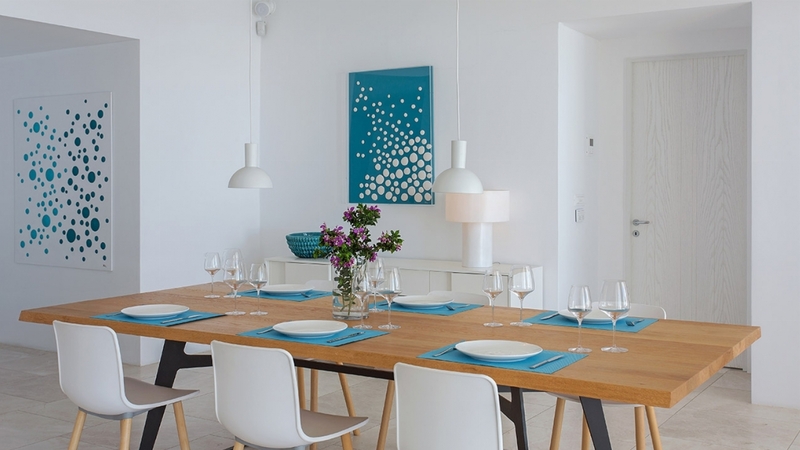 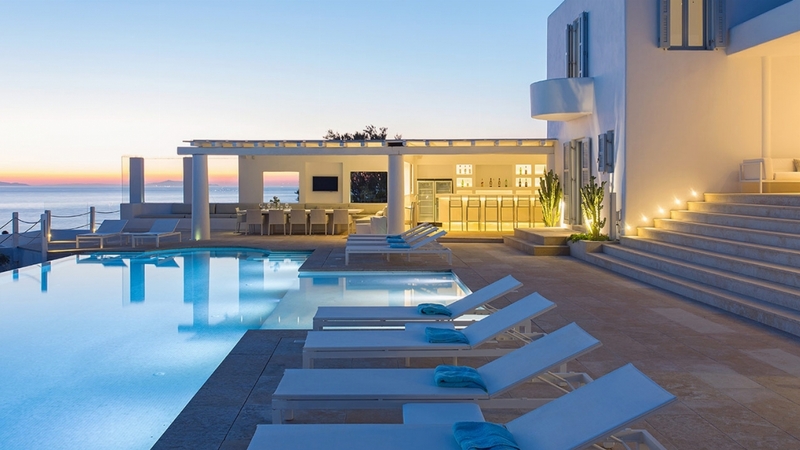 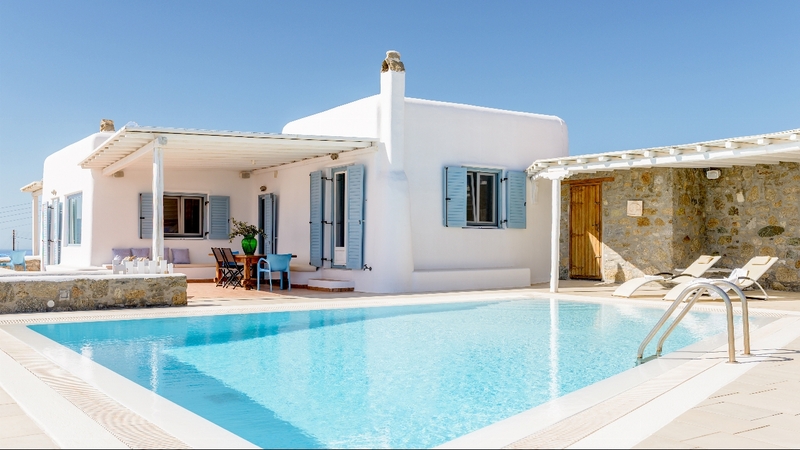 Luxury and simplicity become one at this villa, one of the area’s most beautiful properties, comprised of two connected buildings and a large swimming pool with sun loungers at the property’s façade. 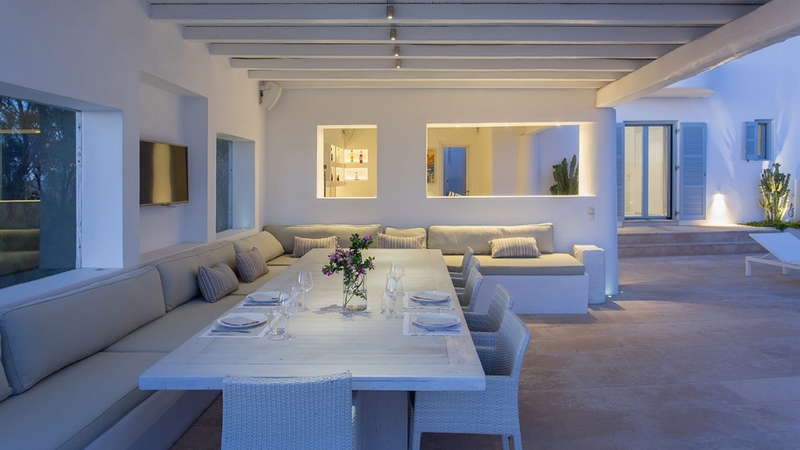 The outdoors shaded dining and cocooning areas, a bar and a barbecue area, all in absolute privacy, ensure complete relaxation and indulgement under the bright sun. 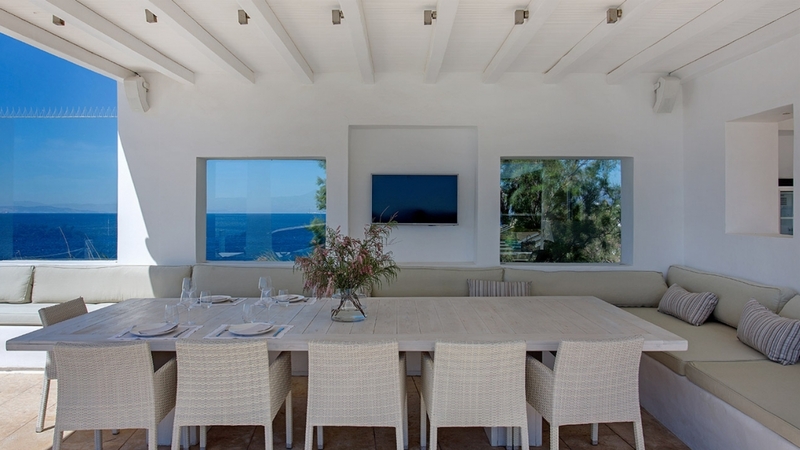 The villa’s main entrance opens to the spacious dining room, right next to the fully equipped kitchen. 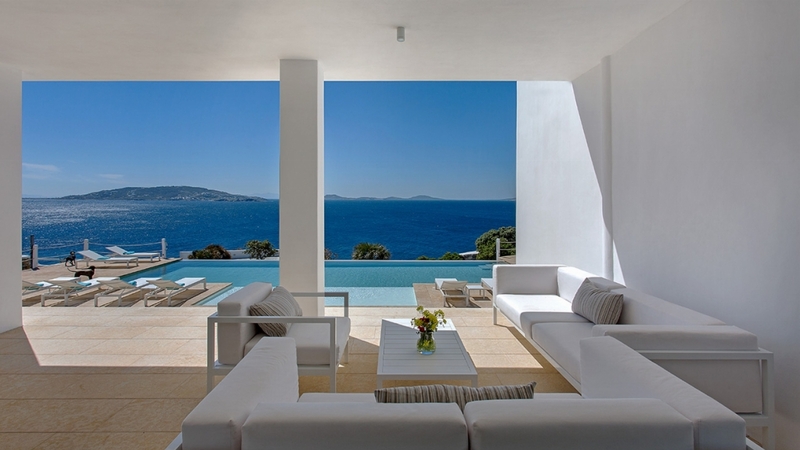 Large window doors open to the pool terrace with the outdoor dining and lounging areas. 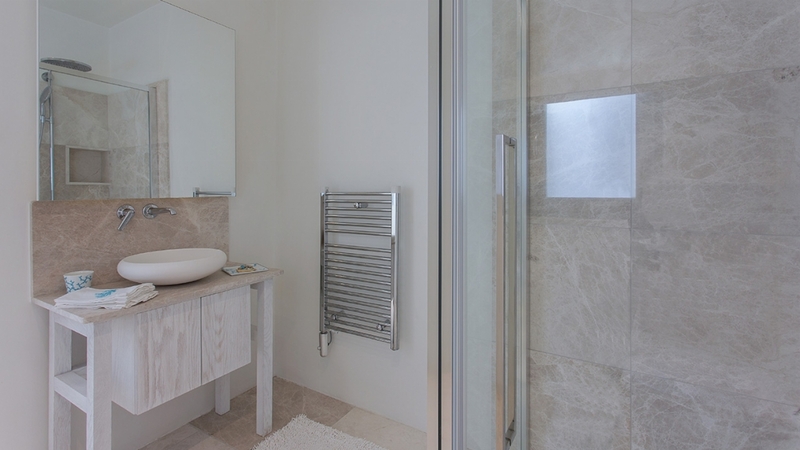 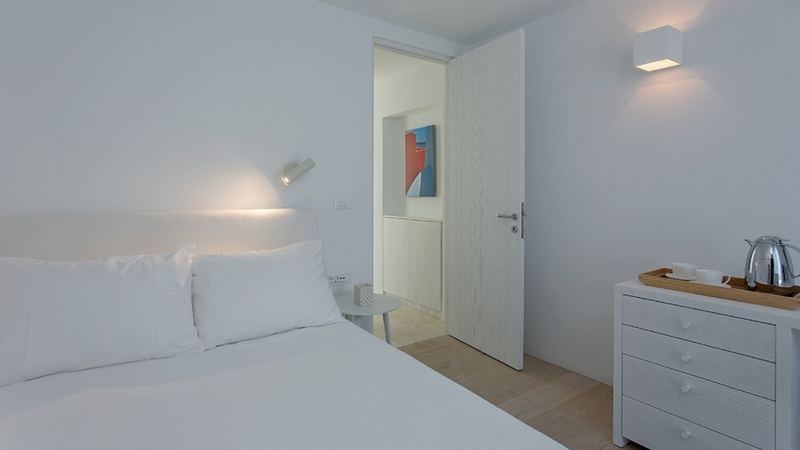 The left building hosts 3 double bedrooms, one en-suite and two with shared bathrooms. 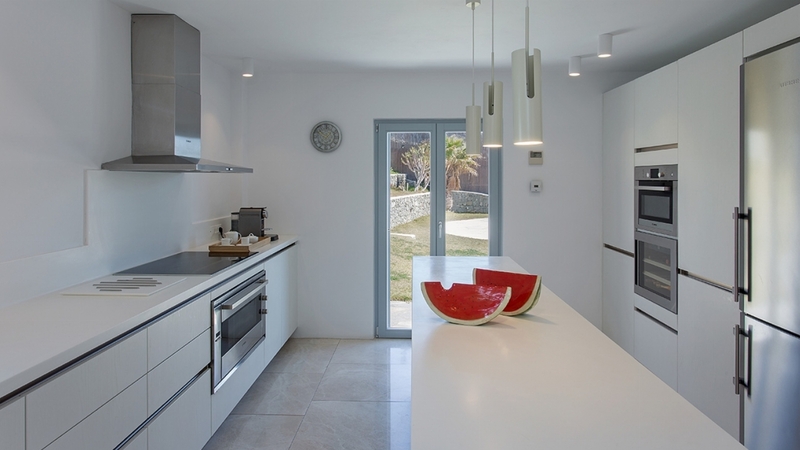 The right building, apart from the kitchen, hosts two double bedrooms with en-suite bathrooms. 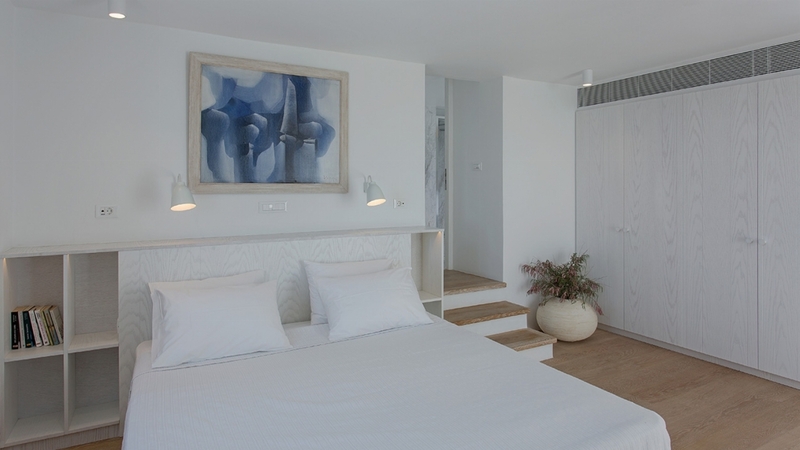 An additional double en-suite bedroom with a private balcony is located on the first floor of each building. 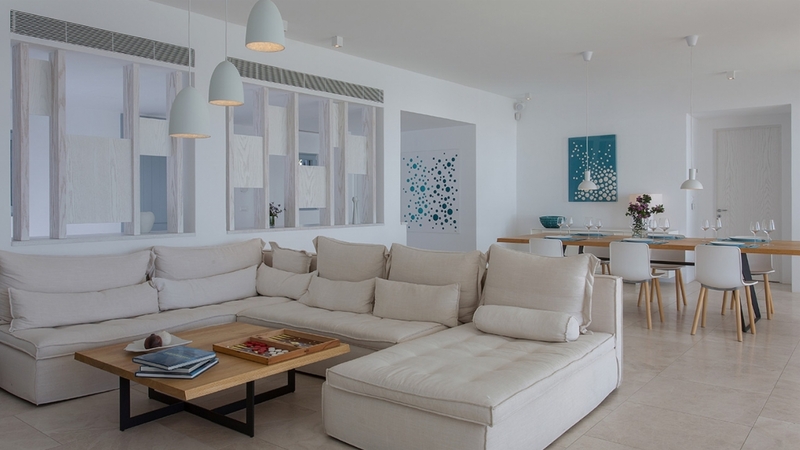 The property is equipped with appliances and devices of cutting-edge technology, Atlas home entertainment system and Bose sound system while it's airy, super minimal spaces make the light and sea breeze airflow seamlessly throughout all rooms. 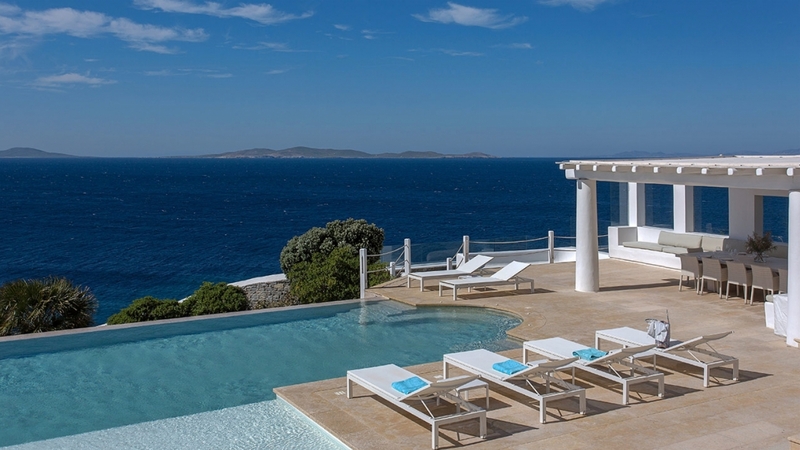 Guests can descend to the small private cove right beneath the villa through some stone-carved steps. 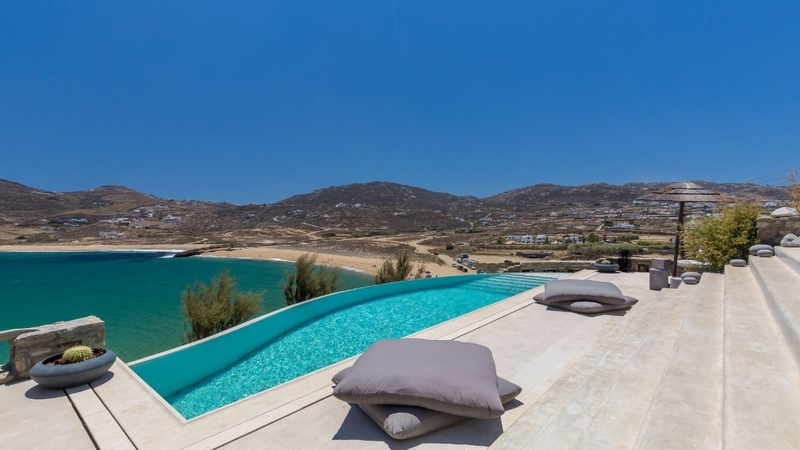 The property also features a helipad.